We Inspire Day is a national movement to encourage service projects and spread a message of hope and inspiration every June 3. Each year, people put their time and talents into an act of volunteerism, and then use social media to share how they're improving their communities. This year, I want to spread the inspiration to Connecticut! On June 3, I'll be hosting a neighborhood cleanup in my district. 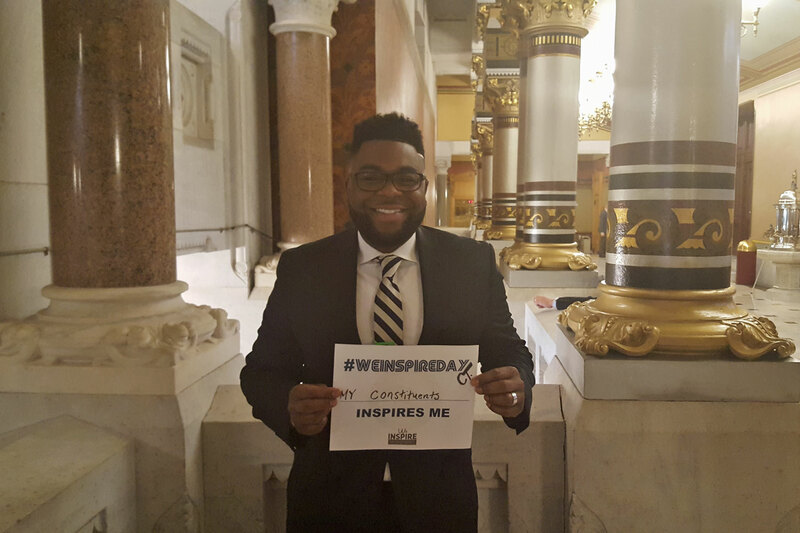 I'd like to encourage you to plan an act of kindness or community service for We Inspire Day. You can get involved right now by helping spread the word! Print out and take a “selfie” with a We Inspire Day sign! Write what inspires YOU! Make a plan to volunteer your time to a good cause on June 3! The more people become involved, the bigger an impact we can have on June 3. You can learn more about We Inspire Day here.